Glenn Maxwell is the quintessential cricketer of the T20 generation, more so than even David Warner. He has a dazzling array of shots, and the confidence to play the most outrageous strokes at the least expected times. He bowls part-time spin and is an excellent fielder, inside the ring and out of it. In T20s, he faces under 14 deliveries per innings scoring 24 runs per dismissal at a strike rate in excess of 150, while taking 54 wickets in the 114 matches he has bowled, at an economy approaching eight runs an over. Maxwell is essentially a cricketer that best exemplifies a generation that watches compressed 60 seconds match highlights on their phones. His remarkable shot-making makes anyone watching the highlights go “wow!” but he isn't really a specialist at any of the cricketing skills. It's obvious he has tremendous hand-eye coordination and an uncluttered brain to play the way he does, but though that can come off in T20s and ODIs sometimes, Test cricket demands a lot more of the player than an explosive 30 runs off 15 balls. As his game is set up right now, he is not suited for the longest format, and Australia, convinced of his ball striking abilities, want to utilise him but just cannot figure out how. Everyone says Maxwell has the “X-factor” but no one is sure what that is or how to harness it. Maxwell averages under 40 in 46 first class matches and made his Test debut in India during Australia's tour of 2013 at Hyderabad. He played the next Test in Delhi as well, and played his third and last Test in U.A.E. in October 2014. He batted at 8 on debut, and was in the team as the second spinner. 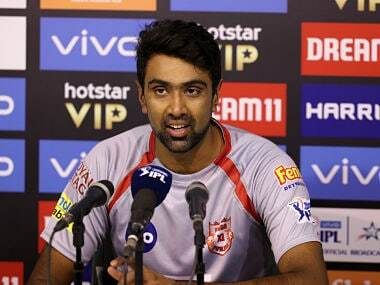 At Delhi, he batted at 7 in the first innings, and opened the batting in the second, and took 4 wickets in the match. He even opened the bowling on a turning Kotla track, taking 3 wickets in the Test! In Abu Dhabi, he batted at 3, and took no wickets. And yet, that is exactly what Australia have done now for this India series. Maxwell was dropped from even the Victoria side earlier this season of shield cricket. In the three Shield matches this season, he scored 129 runs at an average less than 26 and took a lone wicket. He had not played any more First Class matches since that Lehmann comment and yet, here he is, in the Test side! Explaining the baffling selection of Maxwell despite no real domestic record basis to back it, the chair of selection panel Trevor Hohns said, "Glenn is very experienced in Indian conditions. He's generally regarded as a good player of spin bowling. He's a good fielder, and his offspin could be handy. 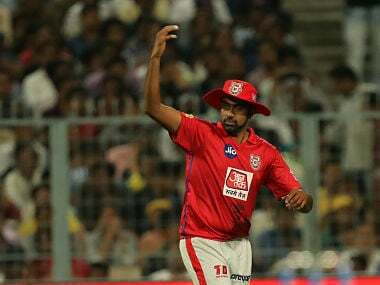 If conditions prevail, we have the option of playing him as the allrounder and having the extra spinning option available to us." Sure, Maxwell has appeared in 43 matches over the last five seasons of IPL, five champions league matches, six ODIs, five T20Is but only two Tests in India. Compared to someone that may have no experience of playing in India – Tests or otherwise – Maxwell looks an experienced campaigner but when he is selected with no First Class form to speak of, and because his offspin “could be” useful, and that Australia might look to play of “conditions prevail” clearly indicates they are not spoiled for choices. They have picked him, despite not making a hundred in Shield cricket in two years, on a wing and a prayer, and hope to be the “X-factor”. Maxwell has had great success against Ravichandran Ashwin in the IPL and ODIs, but Test cricket is a different ball game. You can't hit your way out and even a quickfire 50 isn't gonna change the course of a series. Many batsmen from England, New Zealand and Bangladesh tried the tactic of hitting Ashwin out of the attack this Test season and all of them failed. It is plain to see that Australia have selected Maxwell to be one of the choices for the no. 6 spot, that of the allrounder. They are not convinced Mitchell Marsh is the man for it, nor is Maxwell. In American Football, it is said that when a team is toying with the idea of using two Quarterbacks platoon system, it is a clear sign that they have none. There is every chance, given everything we know and understand about the requirements to be successful in Test cricket, especially in India, the Big Show will be a No Show.